We are the largest trade market brokers in the supply of mustard seeds. Mustard seeds are used crucially in Bangladesh, India, Pakistan, German and the Mediterranean cooking. The high demand for mustard seeds on an international level has motivated us to now offer all customized and quick delivery services. The type of way in which the mustard seeds influence the food is either by grounding them or dry roasting and later adding it into curries to make it tastier. 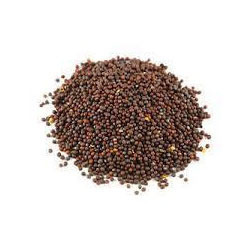 Mustard seeds are also used to make a lot of pastes, oils, and sauces. These ingenious seeds are packed with vitamins, minerals, and antioxidants. They are also very rich in phytonutrients. When it comes to being a Mustard Seed Supplier, we hold an expertise in the assortments of all mustard seeds quality and longer shelf life expectancy. As true patriots in the trade of this spice, we know the value of mustard seeds and have individually processed packing of mustard seeds to meet our daily client's requirement. These purchase can easily reach our clients without any damages. This is because of the state of the art packing techniques we use while processing to give you the highest quality yield and product. The product is further purchased by us in bulk shipping containers to produce oils, flour, and even a paste. A Mustard Seed Supplier like Selmax Exports Pvt.Ltd. makes sure we deliver to our customer on a regular time frame so the clients stay happy with our services. We also offer a customer a custom packing option of his or her choice and charge affordable rates.